In the middle of a piece of rope, form a bight. Make a loop and pass the end of the bight through it. 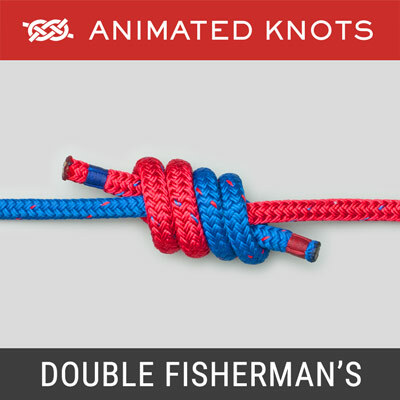 Open up the bight and bring it around the entire knot until it encircles both standing ends. Tighten to complete the knot. 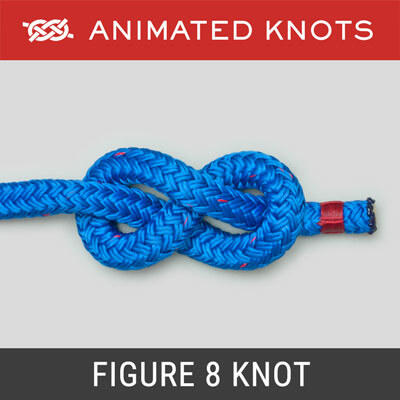 Uses: The Bowline on a Bight (ABOK # 1080, p 195) makes a secure loop in the middle of a piece of rope. It does not slip or bind. It is satisfying to start with a plain length of rope and finish with a secure safe loop in its middle. 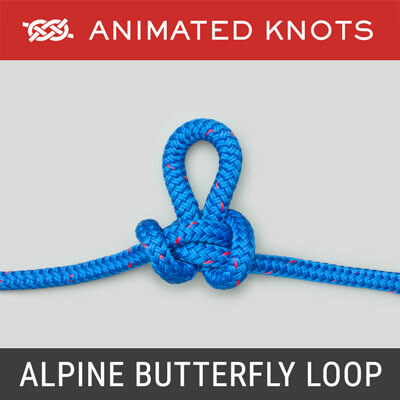 See also the Alpine Butterfly. 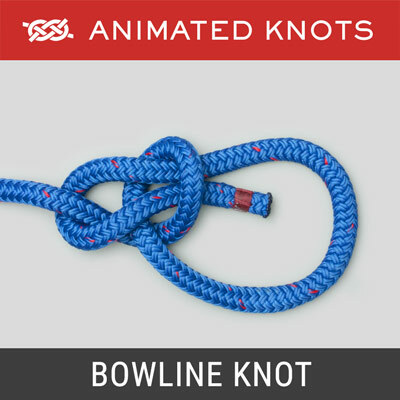 Tying it: The Bowline on a Bight should be easy to tie but because it is initially hard to visualize it can be confusing. 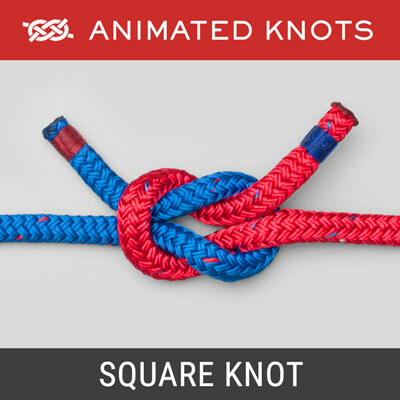 This knot was one of the justifications for preparing these animations. 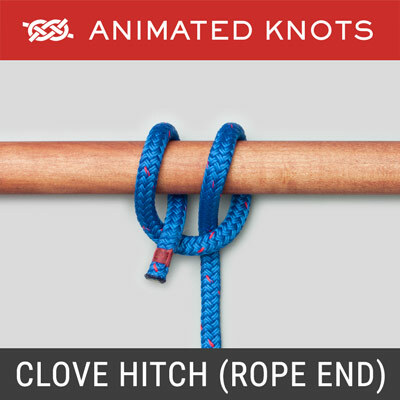 Emergency Purchase: A Bowline on a Bight can also be used to gain some additional purchase: create a Bowline on a Bight in the rope; pass the free end of the rope round a post, then back through the loops and finally to the post again. This gives a three to one purchase – admittedly with some friction. However, see also the Trucker’s Hitch. Foothold: It can be used to make a secure foothold in the middle of a piece of rope. Bosun’s Chair: Because two loops are created it has been claimed that it makes an emergency bosun’s chair which is more comfortable than a single loop. One loop can go round each thigh with the free tail going round the chest for security. Alternatively, one loop would go round the chest and one round the thighs. However, unless the rope was a couple of inches or more in diameter it would require a demanding emergency to make one really appreciate the “comfort” of either of these bosun’s chairs.